Following his departure from Top Gear, Chris Evans put his thoughts into words for the Daily Mail—and he’s actually pretty chill about the whole thing. Evans assures us that he really did try to make it the best show he possibly could. 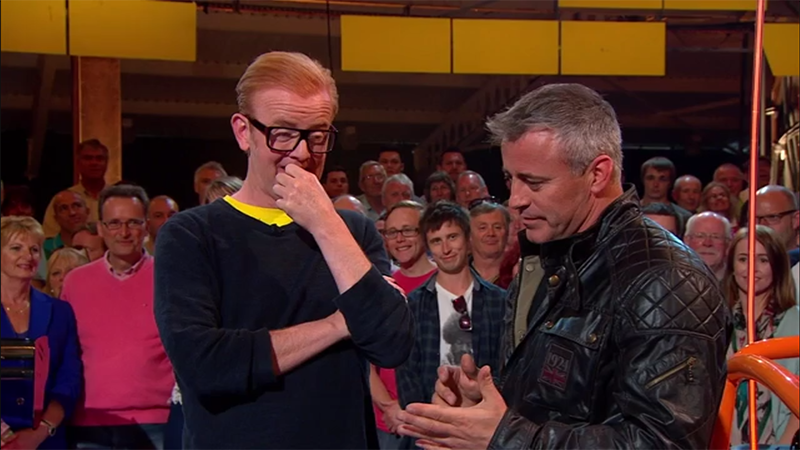 He genuinely loved being part of the adventure that is filming Top Gear. For me, he is the man. He is the captain Top Gear truly needs going forward, the perfect torso for the rest of TG’s limbs. Not only does he eat, sleep, breathe and dream engines, propshafts and trail-braking, but the overwhelming quality that struck me about him is that he’s just such a pro. The whole time I worked with him, he never once looked at the clock, was never late on set, knew his lines inside out and back to front and, most importantly on such an intense production, he always had time for everyone, especially the crew. The simple truth is he and Top Gear were made for each other. From the moment he made his first real driving film, in the bonkers Aerial Nomad in Morocco, it was love at first sight. It’s just better that way. Sometimes in life, we find ourselves in situations that we have no control over, that we are simply unsuited for. All we can do in those situations is try our best and move on. Which is exactly what Evans did. We can’t fault him for that.